American eagle gold coins continued to feel the pressures of investor interest as the global financial market questions paper currency. US gold dealer Regal Assets advises Americans to buy gold now as currency wars will cause the devaluation of US paper currency. By law, the US mint must produce enough eagle gold bullion coins to meet public demand. In doing so the mint has recently discontinued producing fractional gold, gold proof coins and the 24k American buffalo gold coins. 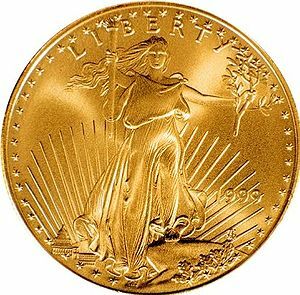 US Mint Eagle gold coins are not sold direct to the public but through dealers in precious metal firms. US gold dealer Regal Assets has been encouraging Americans to take note that the U.S. economic recovery is now foretasted to struggle until 2015. 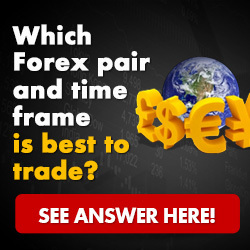 This may compel currency debasement by the Feds and coerce countries and investors to reconsider their US dollar holdings which will add downward pressure on the US dollar and upward pressure on the price of Gold. Gold prices continue to be supported by strong demand for a safe haven investment that has global trade value. Almost all major countries now have started gold buying programs for their central banks. Countries like China and India have eased traded laws to encourage their citizens to acquire gold and silver bullion. Rushes on gold buying have caused mints around the world to run out of popular gold coins such as the Krugerrand. US gold dealer Regal Assets has increased it’s holdings so that Americans can acquire not only the Krugerrand but the Swiss gold francs and American buffalo gold coin. They can be ordered by phone at 1-888-700-9887 or online thru http://www.RegalGoldCoins.com.